Our expertise in combating the common challenges in the Quality Engineering field include highly distributed applications that require access to dependencies that are not readily available for testing, which due to agile and parallel development are sometimes still evolving or not yet implemented. 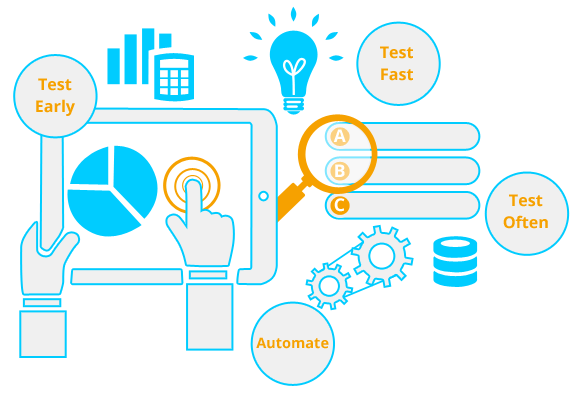 We focus the tests on business priorities, dividing the test base and parallelizing the testing with automated tools. We help implement standardized processes, frameworks and tools into the DevOps set up. We can help you identify best fit tools to accelerate software delivery. WhiteHedge was a major contributor to maintaining CompanionLink’s reputation of quality and reliability. Team WhiteHedge engaged critical QA tasks to ensure our customers could rely on software that works reliably to solve real business needs. We were able to rely on them during a time of need. Today’s informed customers demand seamless user experience which can be achieved with the help of Quality Engineering. For companies adopting DevOps, Quality Engineering plays a crucial role in Continuous Delivery process. Quality Engineering is a practice that involves automatically running tests after every program change. Similar to modern IDEs which provide instant feedback about the code’s syntactic correctness; Quality Engineering gives instant feedback about the semantic correctness of the code. Integrating a fully automated Quality Engineering process into the SDLC is the most effective solution for a successful Continuous Delivery process. Providing early, iterative feedback on code quality directly to business stakeholders helps ensure that fewer problems are found late in the lifecycle where they are more expensive to fix. Test smart and “Shift left” remain the key strategies in Quality Engineering.